If only ONE of the following were able to happen this year, in a forced choice which would you choose? Scotland votes in September to remain as part of the United Kingdom and preserves the Union. 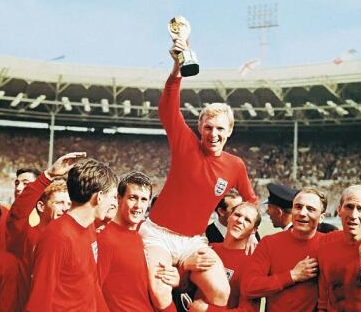 Given the level of political apathy in the UK and that it has now been a full 48 years since England won the world cup in 1966, we were actually surprised at the results. Despite what is now “48 years of hurt” our poll today for the Huffington Post shows that even when presented with a forced choice of either the current England team winning this year’s World Cup or instead Scotland remaining in the UK after the Independence Referendum, a majority of English people are unwilling to choose the former. Even given the enticement of a once-in-half-a-century opportunity for England’s football team to win the title, only half of English people still old us they’d rather the union stayed together of the two options. Interestingly, the group who are old enough to actually remember the legendary 1966 World Cup victory (those aged over 55) are the most likely to want the United Kingdom to remain whole in this forced choice. Gender differences are minor. A majority of those old enough to have actually experienced England’s 1966 victory would prefer Scotland to remain in the United Kingdom than a repeat of an event held dear in English memory. Poll based on a sample of 1,019 English residents. Data was weighted to the profile of English adults, by age, gender, and region. Survation is a member of the British Polling Council and abides by its rules. For the complete data tables, please click here.